Let your kids’ happy, playful and creative side shine with this fashionable bag. 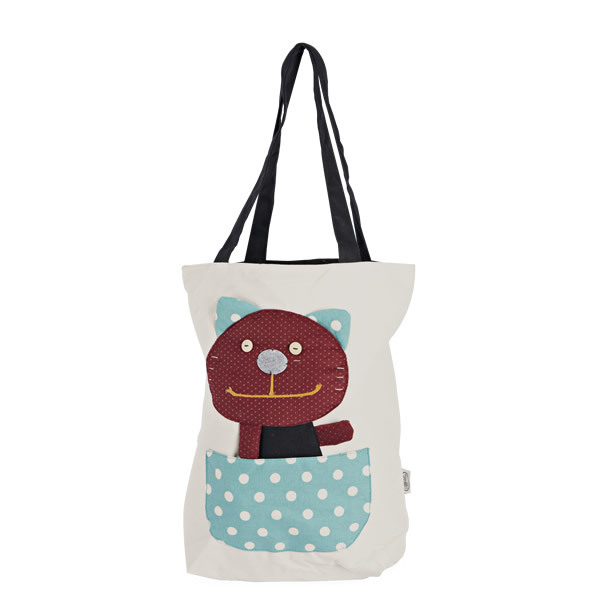 This cute, lovely and versatile bag is specially made for those little grown-ups who are always on the go. Whether it is for school, the mall, the beach, going for a sleepover or simply hitting the streets with their pals. It is great as a kids library bag or book bag. It is handmade durable so kids can be sure that they could carry all they want while still looking fashionable and cute with a lot of ease with the bag’s easy access opening. With its unique design that compliments the personality of kids it will surely look like it was customized specifically for your child. It is handmade heavy duty, washable canvas so you could keep it looking great for a long time and that kids will get to enjoy their highly fashionable bags for a longer time.